attention. They’re both too smart to fall for one another, yet they do. gamble. Campaigns—like love—are either won or lost. to be there at all the right times. own compass to a life more extraordinary. fighting their fates to create their own destiny. lead her on their adventures. her obsessions she calls hobbies. two young sons, two Papillons and a bowl full of Sea Monkeys. 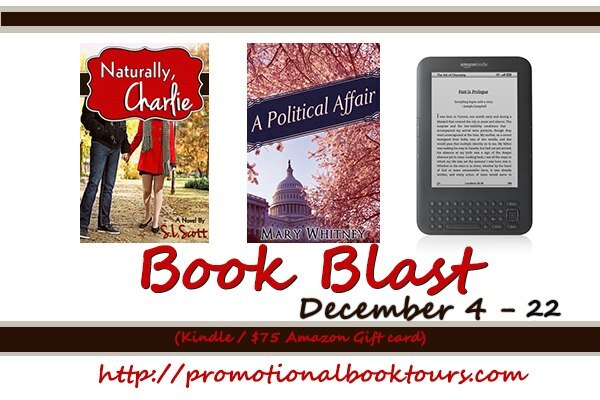 These wonderful authors are giving away a Kindle ($75 GC) for their BLAST! At the top of my wish list? There are a lot of books . . . I’m going to go with Touch of the Demon since it comes out on the 31st :).